Showing 1 articles from February 9, 2014. 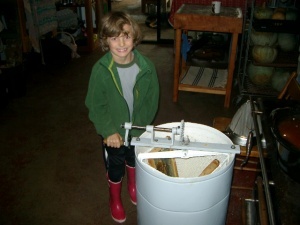 Photo by Larry Holland A youngster processes honey with a mechanical extractor. Want to maximize the pollination of your fruit, flower and garden plants, and in the process, harvest your own honey and other honeybee products?